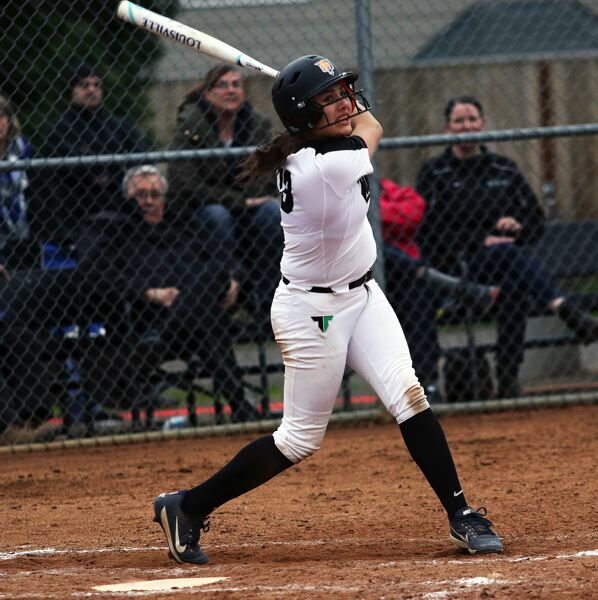 The Tigard High School softball team seems to have a bunch of it — power pitching and some big-time power hitting. The Tigers turned all of that power into an impressive win over Reynolds. 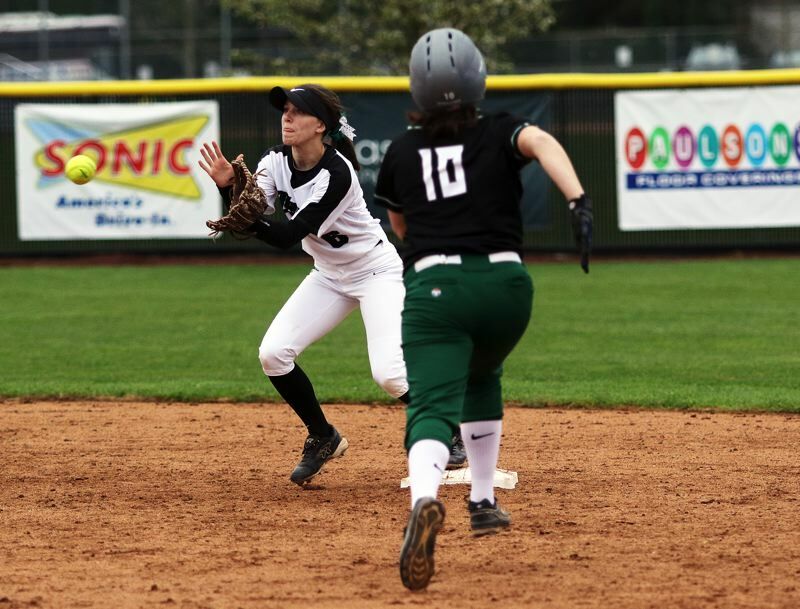 Tigard, behind the pitching of senior Ashley Davis, and with three home runs, powered its way to a 9-0 win over the Raiders in a non-league game played April 4 at Tigard High School. "Our energy was a little low at the beginning," said Tigard junior shortstop Maddie Hoover, who doubled and scored a run in the win. "But once we started hitting, it work us up, and we got going." 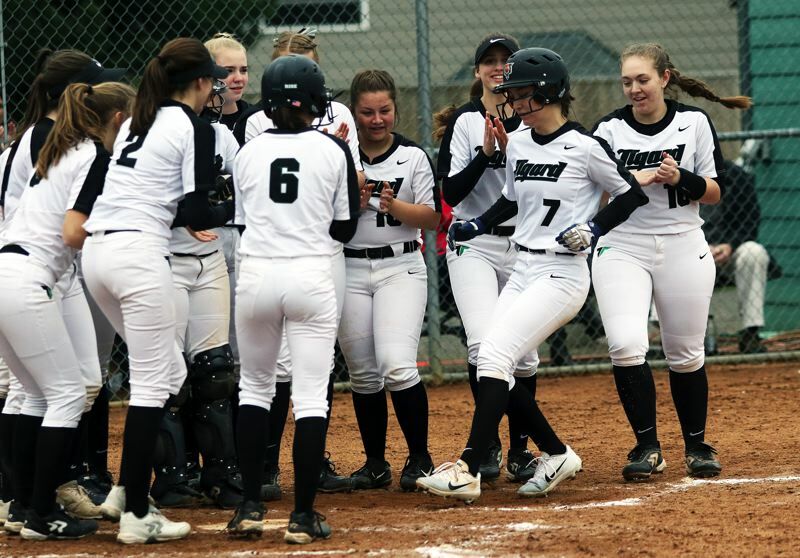 "After Ashley's home run, we pulled it all together," said Tigard sophomore outfielder Lexi Klum, who hit one of the Tigers' three home runs. With the loss, Reynolds moved to 5-6 on the season. Tigard improved to 9-1 on the season, to that point, with the victory. "We've been working hard every day," Klum said. "We've got a good mindset," Hoover added. "We feel it." "We want to be playing all the way up to June 2," Klum said. "It's our year." Well, April 4 was sure Tigard's day. The Tigers grabbed a 1-0 lead in the bottom of the first inning. Klum drew a leadoff walk and she ended up scoring from third base on a sacrifice fly by freshman Katie Regalado to give Tigard the early advantage. The Tigers, getting RBI singles by sophomores Abby Soderquist and Elli Dardis, added three more runs in the bottom of the third inning to push the lead to 4-0. Tigard then turned up the power in the bottom of the fourth. Hoover walked to lead off the frame. Then, after Hoover stole second base, Davis blasted a two-run home run over the fence in left field, giving the Tigers a 6-0 advantage. Klum then smacked a line-drive home run to center field in the bottom of the fifth inning, making the score 7-0. Regalado wrapped up the scoring in the bottom of the sixth inning with a two-run home run to left field, making the final score 9-0. "We all cheer each other on," Klum said of the Tigers' home run attack. "We're having a lot of fun," Hoover said. Davis turned in a complete-game performance in the pitcher's circle in the victory. In seven shutout innings of work, she allowed four hits, while striking out 11 and walking two. Davis was also strong at the plate, going 1 for 2 with a home run, two runs scored and two RBIs. Regalado went 1 for 2 with a home run, a run scored and three RBIs. Klum went 1 for 2 with a home run, a stolen base, two runs scored and an RBI. Hoover went 1 for 2 with a double, a stolen base and a run scored. Dardis and Soderquist each scored a run and drove in a run. Sophomore Emily Paulson had a pair of stolen bases and scored a run. Tigard followed up that victory by scoring a 4-3 win over David Douglas in a non-league game played Friday at Tigard High School. In that game, Paulson doubled in Klum for the walk-off, game-winning run in the bottom of the seventh inning. For the game, Paulson went 2 for 3 at the plate with a run scored and two RBIs. Klum went 2 for 4 with two runs scored. Dardis drove in a pair of runs. Davis picked up the pitching win, giving up three runs (one earned) on four hits, while striking out 14 and walking two. The Tigers will open their Three Rivers League schedule Wednesday with a 5 p.m. game at Newberg. On Friday, Tigard will host West Linn in a league contest starting at 5 p.m.